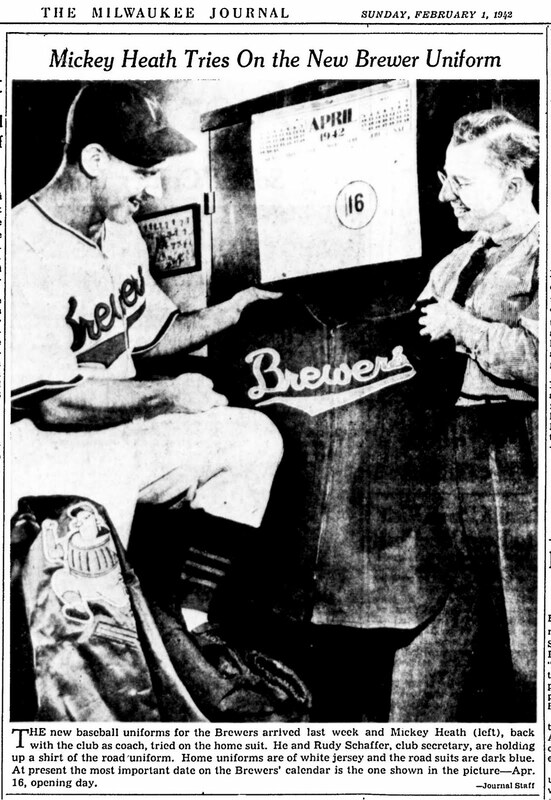 Courtesy of Paul Lukas at Uni Watch, we now have a really good look at the 1948 home throwbacks our Brewers will wear in Minnesota on May 30. That's Twins closer Glen Perkins on the right, and an unidentified Twins intern modeling the Brewers uniform on the left. Okay, so we know these were definitely made by Majestic, and I was right that they replaced the zipper with a button-up placket. 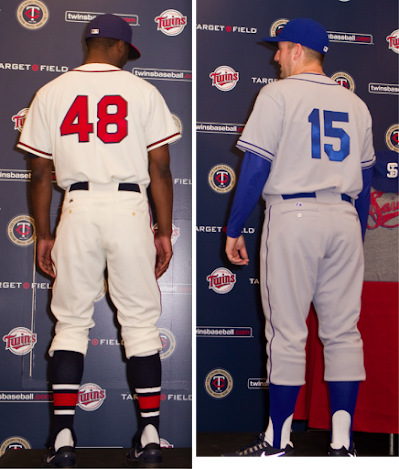 Can't say that I'm very thrilled with that change, but other than that these are marvelous uniforms. 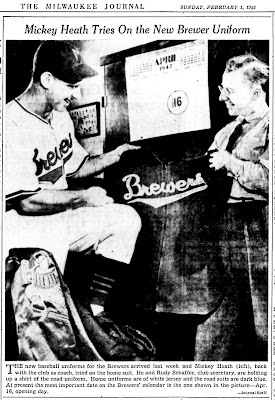 Majestic has really nailed the Brews' elegant script, which was originally introduced in 1942, shortly after Bill Veeck and Charlie Grimm bought the club. A very nice job by Majestic. 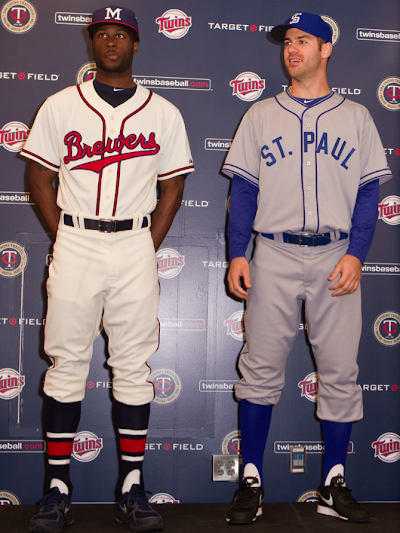 And major kudos to the Twins. 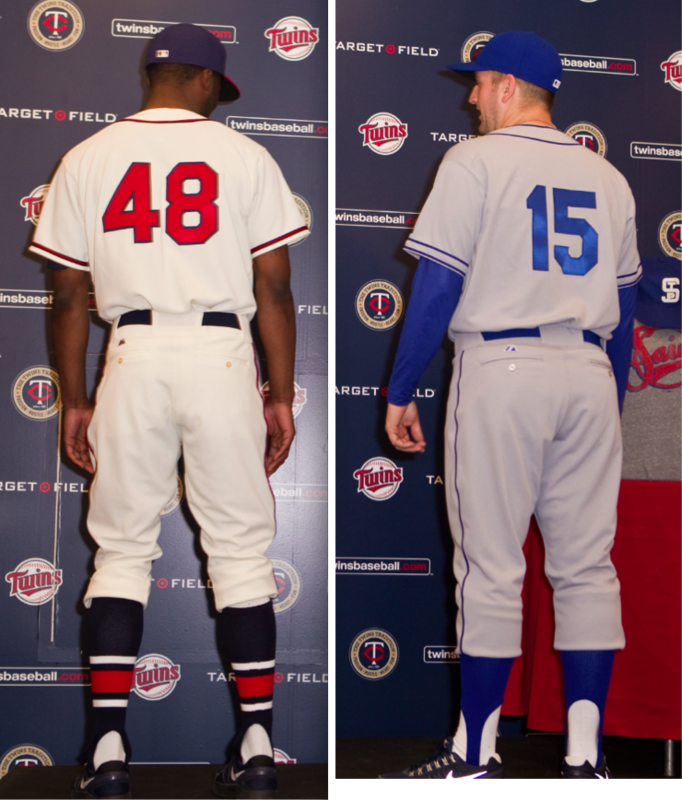 The American Association Brewers went uncommemorated by the majors for seventeen years, and now we'll have two throwbacks within the span of a month.